I initially posted this image on January 30th, drawing it (off-line) gave me an opportunity to think about the experiences so far in #etmooc. I did need to spend some time away from my computer to reflect, but once I had finished the mind map, I wanted to add hyperlinks. Now that Linda Pemik has shown me what Peartrees can do, I think that might be the perfect tool. For now I am just going to add the links below. Participated in T1S1 Introduction to Connected Learning, faciliated by Alec Couros (@courosa), the archive of the session is available here but apparently the second session, which is archived here, was better. Alec has shared the supporting materials here, they include lots of links to check out. Alec was one of the targets of Stalking in Computer Class, a lesson on digital footprints I did in my grade 8 and 9 in computer classes a few years ago. I initially (virtually) met Alec when participating I had the opportunity to participate as a 21st Century Fellow and Team Leader in our school board’s cohort in Learning in the 21st Century: Networks and Communities with the Powerful Learning Practice. I uploaded my contribution to the #etmooc #lipdub currently trending on Twitter. 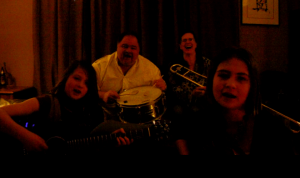 I loved that Tom and the girls were willing to play with me because I am not sure that I would have participated without them. Participated in Dave Cormier‘s (@davecormier) repeat session T1S5 Introduction to Rhizomatic Learning. I had arranged for this to be a webinar, shared with some of my co-workers but I ended up participating alone. Dave’s description of Rhizomatic learning can be found in this post on his blog. My post about the session includes links to the archived session as well as notes and reflections from some of the participants. Dave’s concept of rhizomatic learning reminds me of project-based learning, a topic I have spent the last few months researching in quite a bit of depth. Participated in George Couros’s (@gcouros) session T1S6 Becoming a Networked Educational Leader. Even though I am not an administrator I consider myself an educational leader but I did feel like one of the few participants who was not an administrator. Last year I was able to meet George, listen to his keynote address and attend his session about digital portfolios at the 21st Century Learning Symposium in Bluffton, Alberta. I blogged about it here. Participated in Sue Waters’s (@suewaters) T1S6 Advanced Blogging Session. The archive is here, and Sue’s excellent follow-up post is here. I am working on a post about blogging with students which will include links to posts by Sue and others about student blogging. I organized a webinar at work to listen to the archive of Jeffery Heil’s (@jefferyheil) archived session T0S3 Introduction to Social Curation. This is my post about the experience. The archive of the session can be found here. I had planned to listen to Dean Shareski’s (@shareski) archived session T1S2 Sharing As Caring last week but I haven’t gotten to it yet. That didn’t stop me from blogging about it here. We had also planned to listen to the Buck Institute’s archived webinar Project-Based Learning System but other things took priority and we have rescheduled it to next week. It’s been a pretty busy two weeks; with everything #etmooc that is going on, I can’t see it slowing down any time soon. 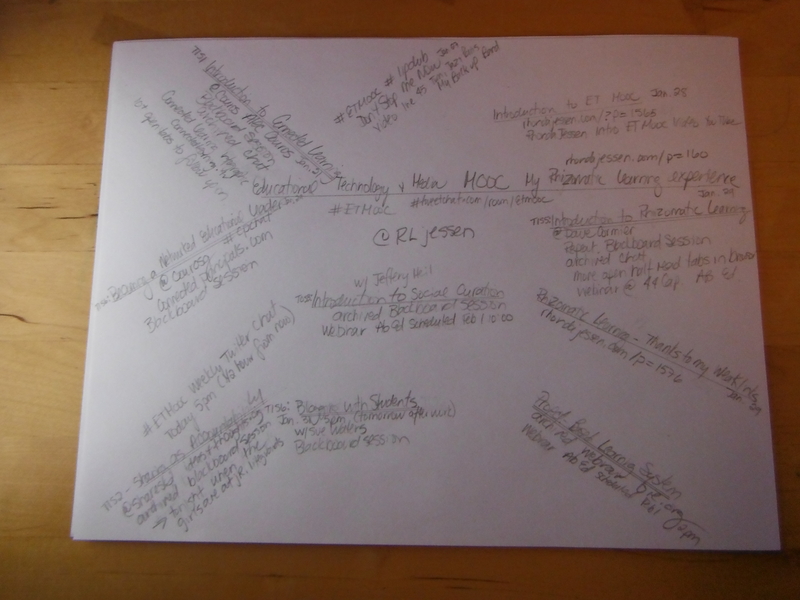 2 Responses to "My #etmooc Learning Experiences Jan. 21 – Feb 1 Expanded"
I love it Karen, thanks!